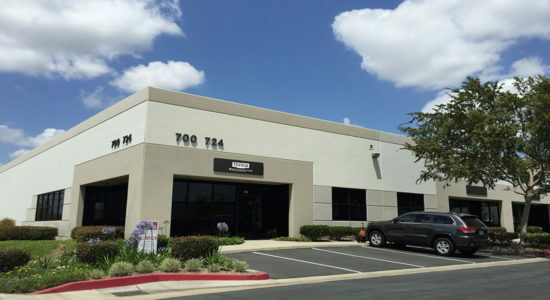 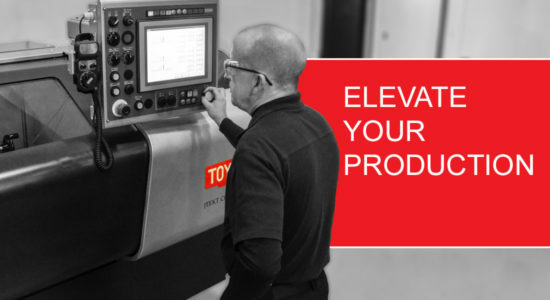 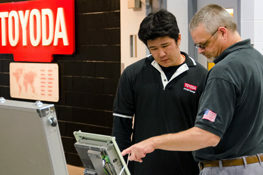 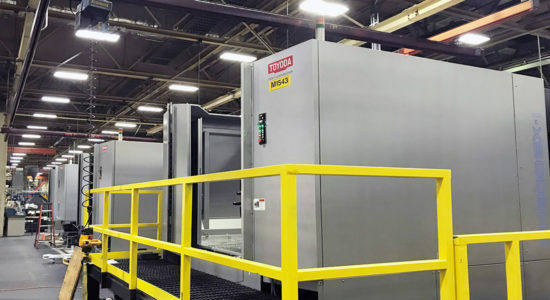 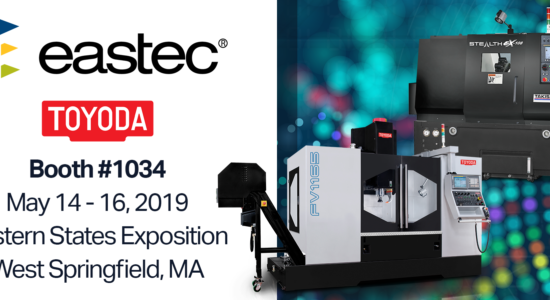 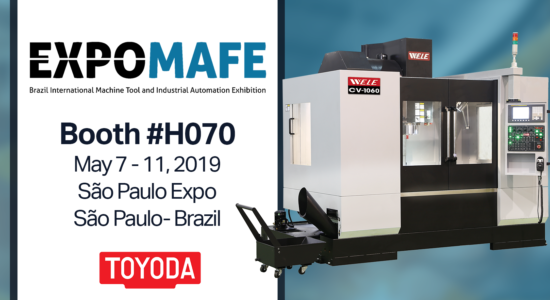 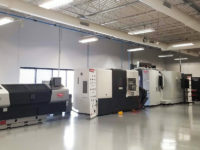 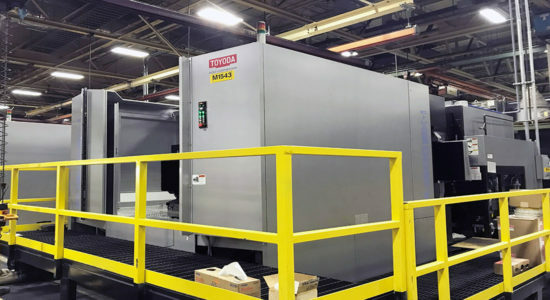 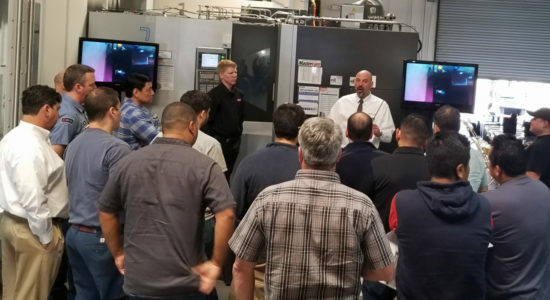 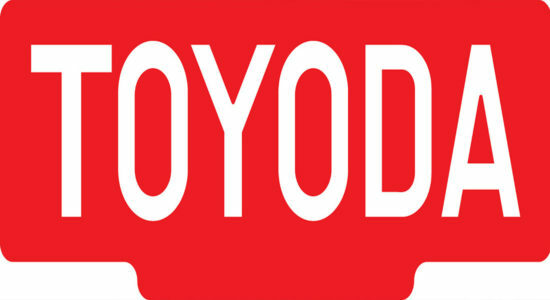 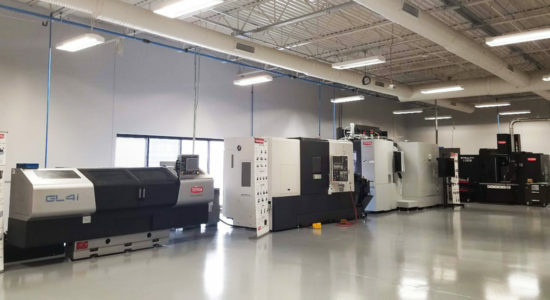 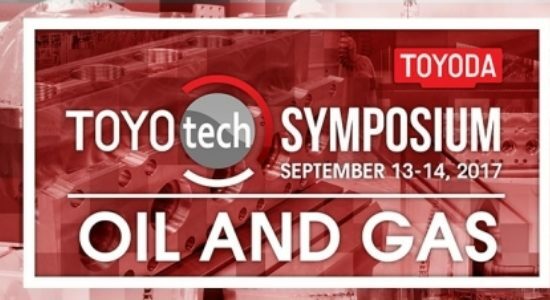 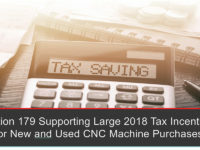 At Toyoda, it’s our job to ensure that your business is fully equipped to achieve maximum profitability by not only having a quality machine on your floor, but by providing you with the tools & expertise to using your grinder to its’ fullest potential – giving you the maximum return on your investment. 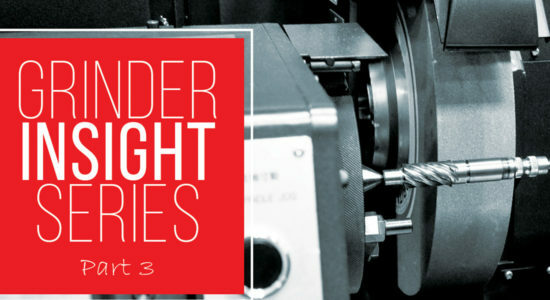 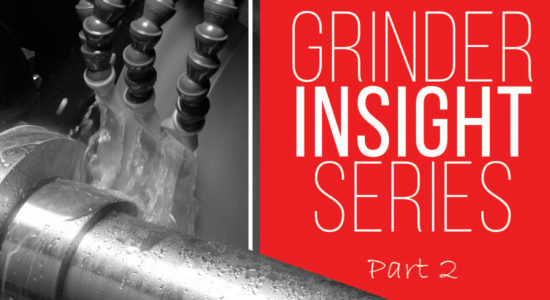 Our 4 part Grinder Insight Series aims to educate customers on the ins and outs of their machine - providing a comprehensive resource into their machine’s capabilities. 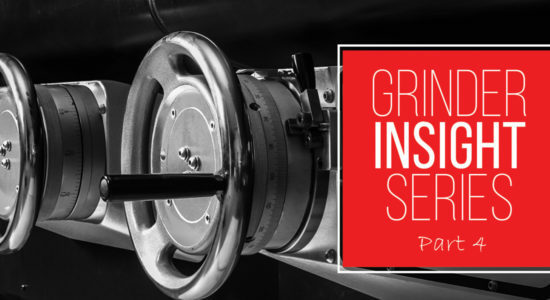 Part 1: What are the most impactful Grinder Machine Design features? 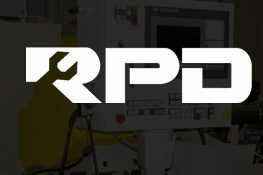 | Trusting in Your Technology. 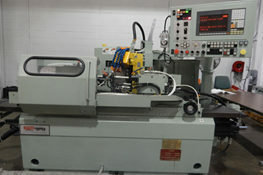 | Roll in the Bearings. 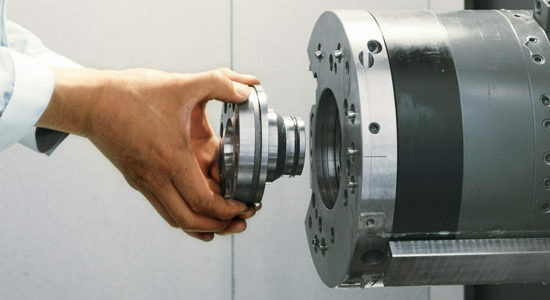 Reliability in a grinder all begins from the ground up. 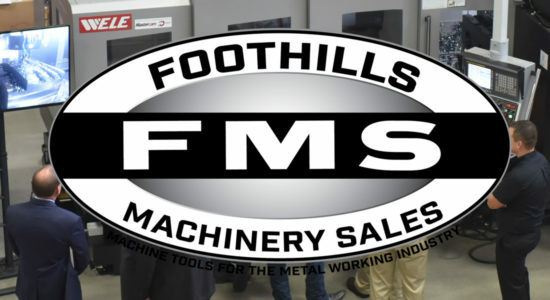 After all – the subassembly that makes your grinder successful; the workhead, wheelhead, footstock, all heavily rely on the solidity and caliber of your machine’s foundation. 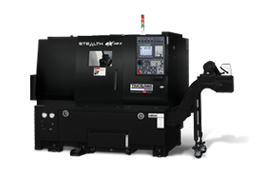 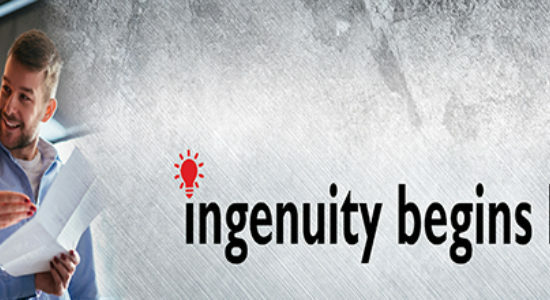 For high-performance and dependable machines, grinders with 100% heat-treated stress-relieved cast ir­on in the base, workhead, footstock and wheelhead, combat two of the most potentially disruptive machining parameters: thermal instability and vibration. 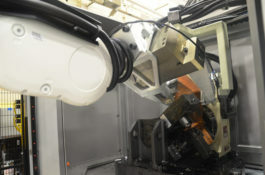 Machines cast from composites, on the other hand, feature foundations that are more brittle and more susceptible to cracking – compromising the machine’s overall longevity and inhibiting performance and accuracy. 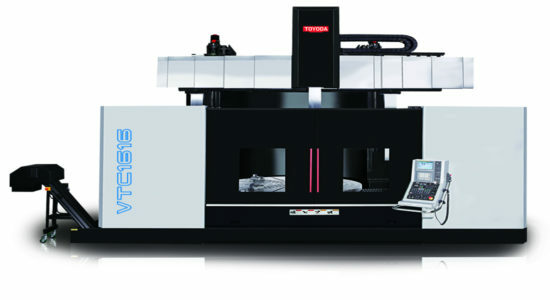 Toyoda’s design elements, preventing thermal deformations, include steel isolation covers with an air gap layer between the bed and coolant route for reducing the amount of heat transferred to the bed, coolant channeling systems for efficient coolant evacuation, low thermal displacement bed for improving accuracy, and optional sensors that compensate for thermal displacement due to day-to-day temperature variances - reducing a machine’s necessary warm up time. 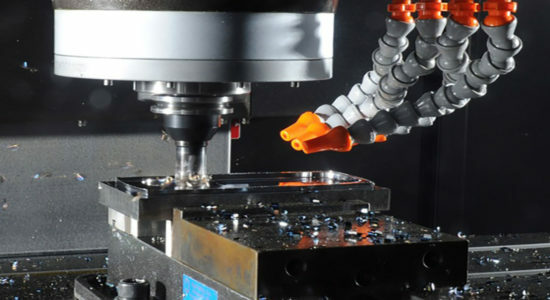 These essential design features all mutually work in harmony to maintain grinding accuracy and longevity - leading to an optimized machining process. 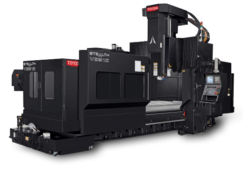 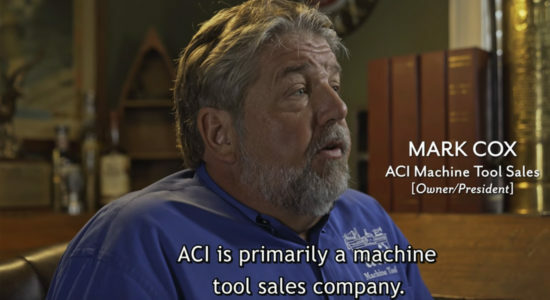 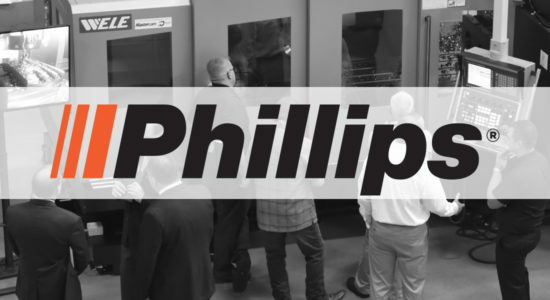 When you purchase a machine, don’t just invest into the speed and technology, but also in the confidence that your machine was built with long-term machining and sustainability in mind. 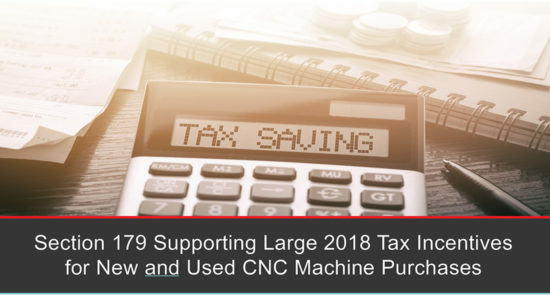 This is particularly important for grinders, who generally work with parts that have already undergone a significant amount of machining, contributing to higher investments – and higher risks. 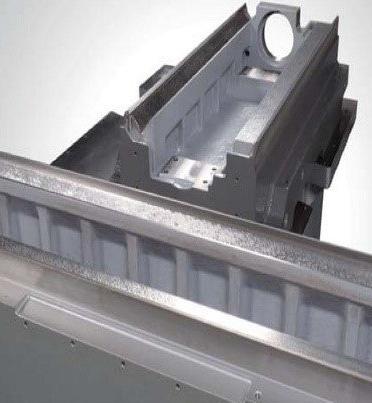 For maximum accuracy and sustainability, quality machines implement hand scraping on guideways and sub-assembly mating surfaces. 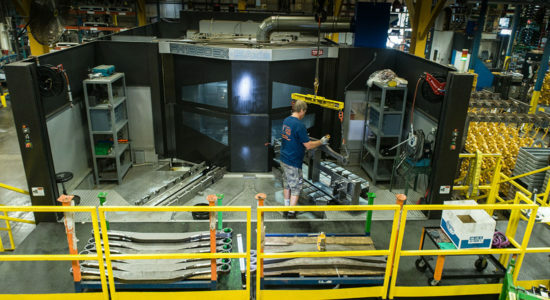 Although a meticulous and costly process (and often considered a dying art), hand-scraping aligns the components of your machine within millionths of an inch - stabilizing the variances created during the casting process. 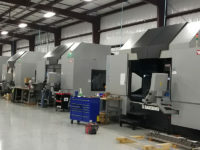 Through hand scraping, oil pockets are indented into the subtable and subassemblies for better lubricity and smoother gliding between mating components. 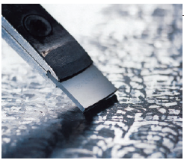 Unscraped flat surfaces can actually restrict your machine’s movement - making consistency and accuracy much more difficult to attain. 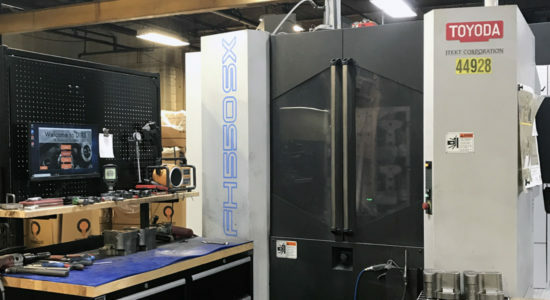 Ultimately, hand scraping leads to less wear and tear on the machine, tighter tolerances, and repeatability, overall contributing to higher quality parts and less scrap. 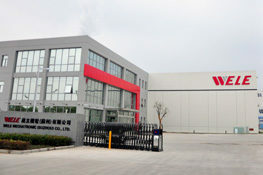 Prolonging your machine’s lifetime are features like a Flat and “V” bedway design with positive pressure way lube. 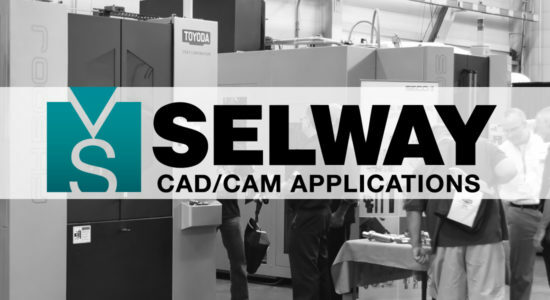 This feature reduces surface friction and wear and minimizes way contamination from coolant and swarf while maximizing rigidity. 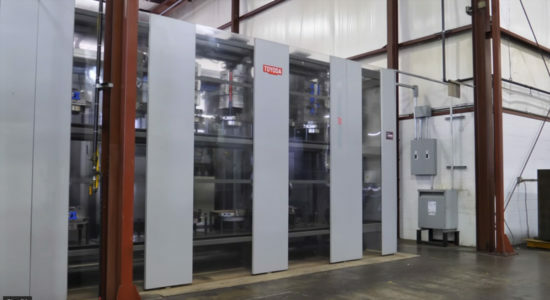 Cross-ribbed castings reinforce machine stability and FEM analysis guarantees absolute topological optimization - reducing casting distortion due to any temperature fluctuations. 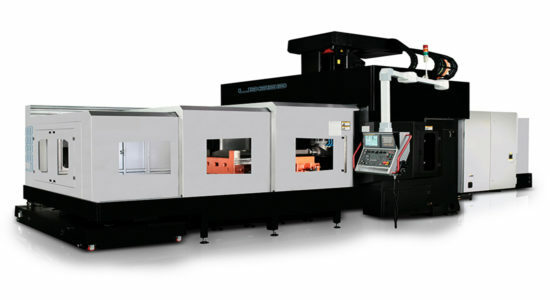 A built-to-last machine should be expected to run at its capacity, in a variety of cutting conditions, speeds, and loads, for years to come. 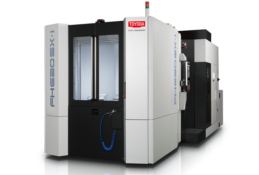 Ultimately, machines providing longer lifetimes bolster higher profit margins - reducing stress and unnecessary cost to the manufacturer. 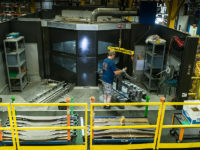 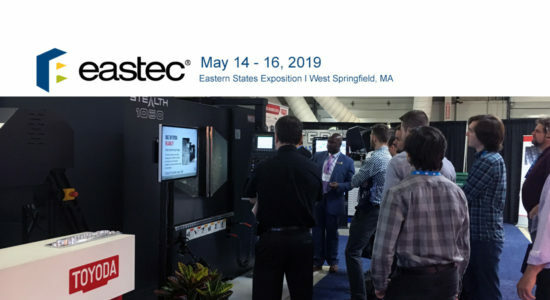 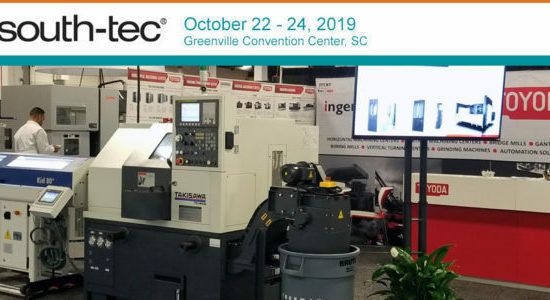 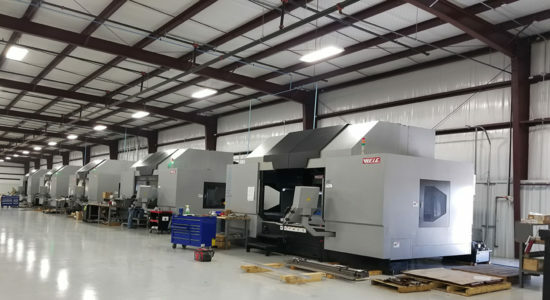 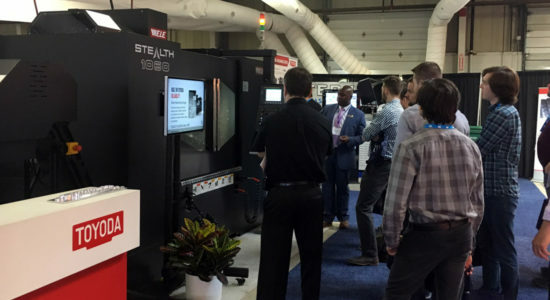 From high-production to job shops, grinder customers look to the tools within their CNC technology as a means of optimizing their shop floor’s efficiency. 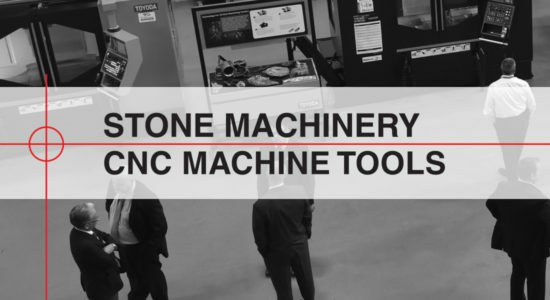 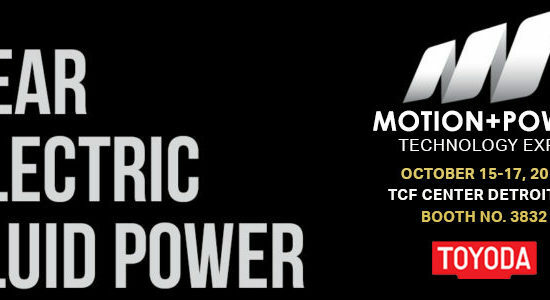 Matched with the right control system, manufacturers can attain unlimited machine functionality, reduced setup, and versatility supporting fast cycle times, high product quality and operator safety – no matter the complexity of the application. 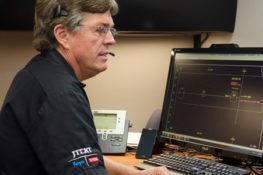 Conversational Control: Allows for no time-consuming set ups with grinding conditions automatically determined with minimal data input (reduced by 90% in an in-house comparison). 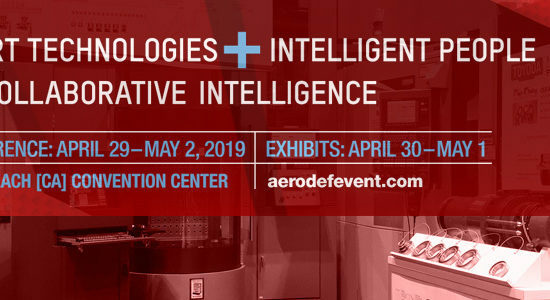 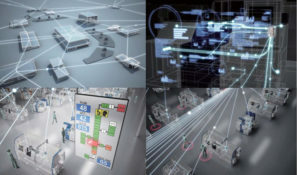 IoE Capabilities: Paving the way for new age technology, IoE, or Internet of Everything is a connected technology transmitting data amongst machines, people, & processes - creating new levels of efficiency, functionality, reliability and productivity. 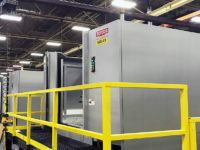 With this information, manufacturers can make more quantified decisions to improve production, better understand a machine equipment status, set into place more reliable inspections and reduce energy waste. 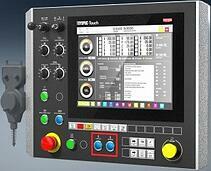 Operator Assist Display: Helps to prevent accidental directional movement. 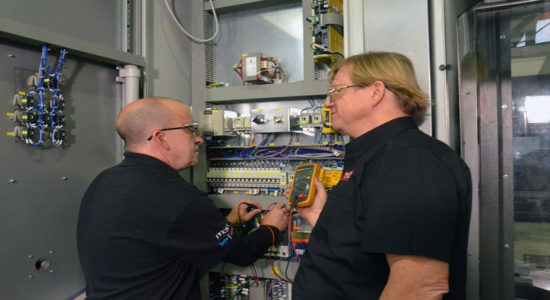 Preventative Maintenance Function: Simplifies troubleshooting by evaluating defective work pieces and comparing machine conditions such as electrical current, position deviations and speed data. 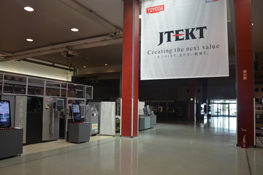 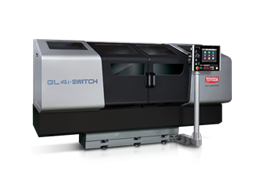 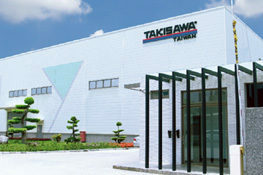 Automatic Servo Off Function: Saving machine energy and operator costs. 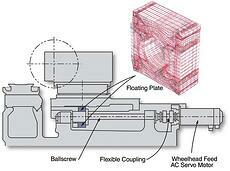 Automatic Wheelhead Retraction: Safety feature in the event of unanticipated power failure. 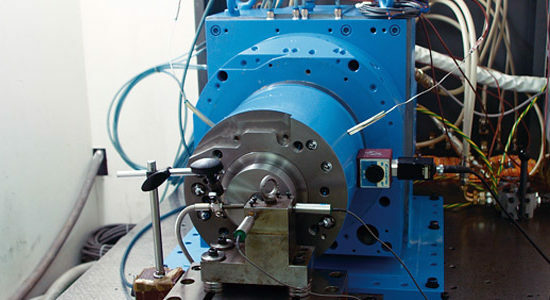 Putting production into motion are the bearings located within your machine’s wheelhead. 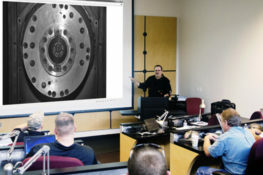 For accuracy, bearing design must be perfectly balanced to counteract the excessive vibration that can affect process and quality. 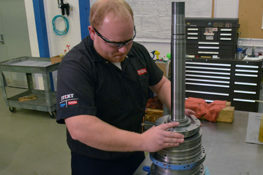 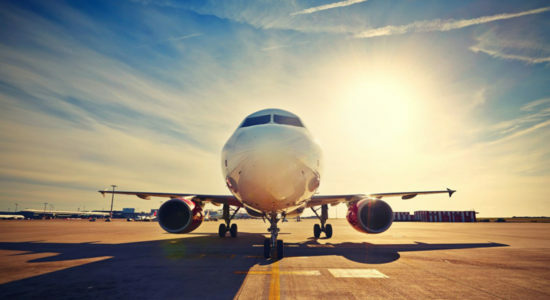 Due to demanding grinding conditions, even when not in use, bearings can take a beating, emphasizing the importance of implementing protective technology. 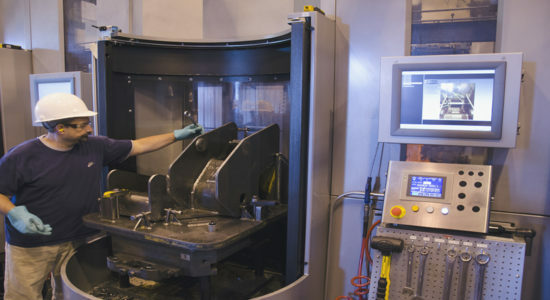 For the most reliable bearings, machine tool builders implement responsive technologies to minimize bearing wear and reduce run-out and vibration. 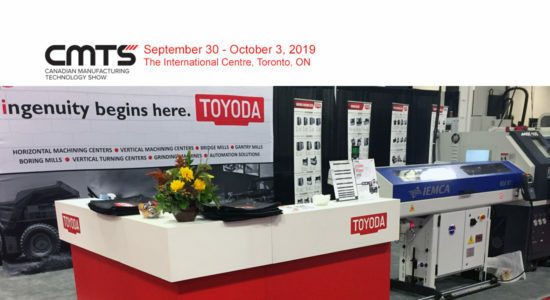 Within every Toyoda Grinder, hybrid Toyoda Stat Bearing technology ensures no metal-to-metal contact between the wheel spindle and the bearing. 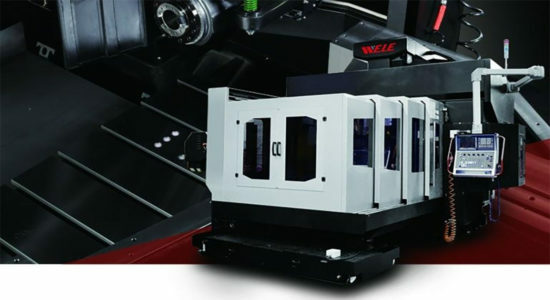 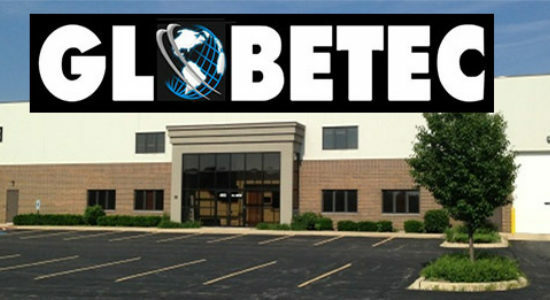 This fluid lubrication maintains smooth operation by eliminating spindle to bearing friction for precision performance. 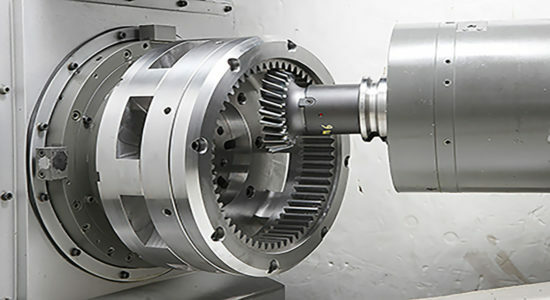 The no metal-to-metal feature of the hydrostatic wheelhead spindle also eliminates wear, allowing your grinder to run at top performance, longer than a typical roller bearing. 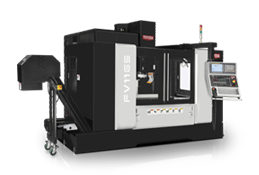 With Toyoda’s Stat Bearing technology, during rotation, hydro-dynamic pressure promotes rigidity, eliminates friction and reduces vibration. 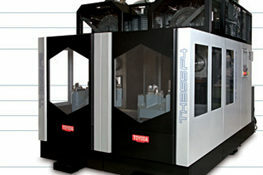 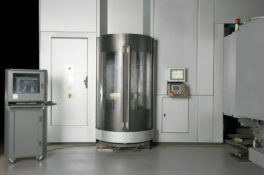 When the machine is at rest, the spindle is free floating at its center position via static pressure. 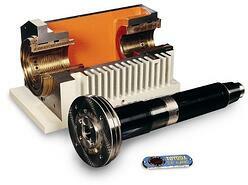 This closed-loop hydraulic circuit allows for remarkable for wheel spindle rotation accuracy of 0.016 μm. 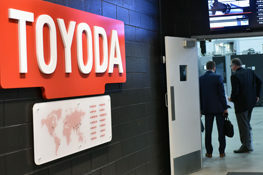 The concept behind Toyoda’s Stat Bearings is also applied to the x and z axes and table slideways for a low friction co-efficient for more accurate table movements. 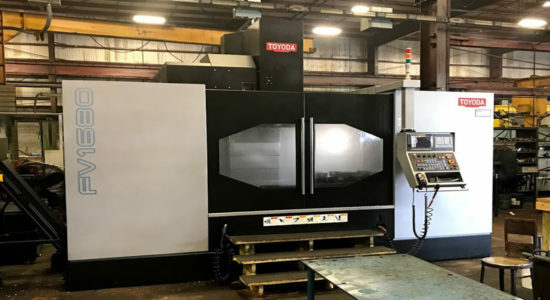 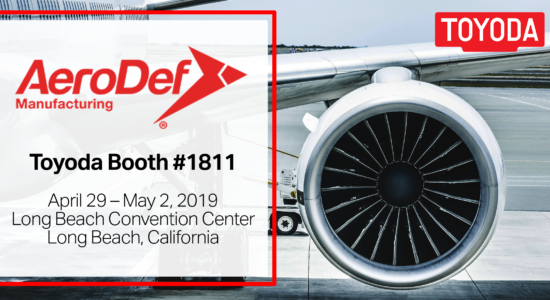 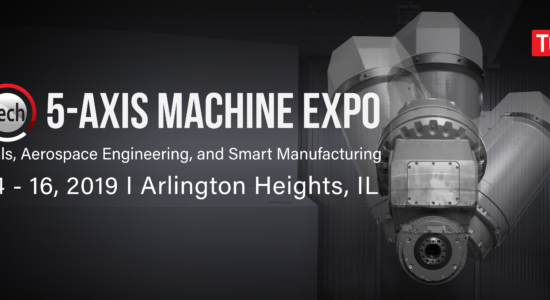 Beyond the structural integrity and the latest control technology, machine manufacturers are always implementing key internal components to consistently meet the industry’s growing demands for tighter tolerances, finer surface quality and more dynamic stability. 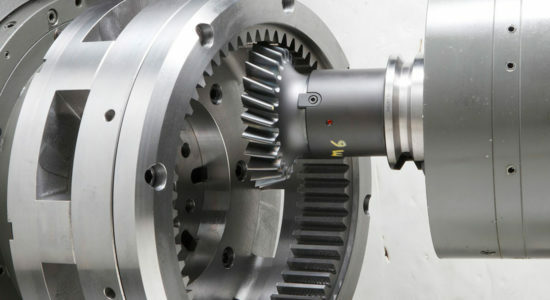 When it comes down to it, grinders are perpetually challenged to make better parts, more consistently, with minimal effort, at the lowest cost. 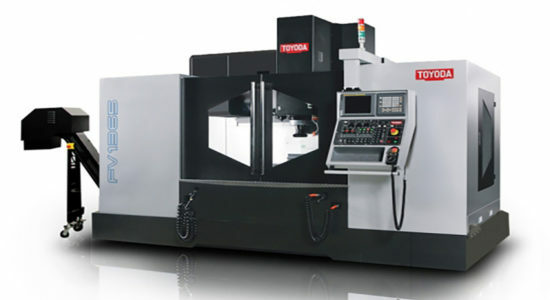 Supporting this objective is Toyoda’s maintenance free Floating Plate Ballnut engineered to support high precision cylindrical grinding. 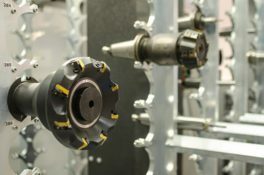 The floating ball nut absorbs runout in the ballscrew - maintaining grinding positional accuracy on both the X and Z axis – supporting a flexible and smooth grinding operation. 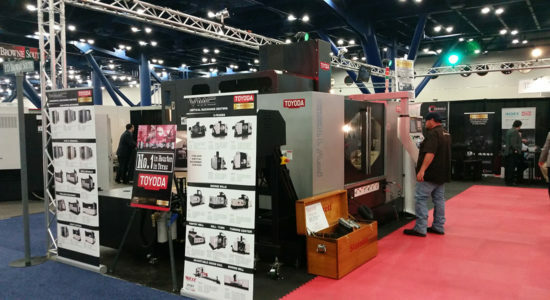 Additionally, Toyoda Grinders implement a sub-table dressing block featuring an easy setup allowing manufacturers to avoid having to reteach the diamond position for efficient time management.